When all the campsites are fully booked in Joshua Tree Nation Park, this is your next best option to get a campsite near the park. Clean facilities, quiet campground and easy access to the park. There was a long line waiting for dump site at checkout time. very nice campground. Always clean. Small store onsite. Small lake. Some sites are full hook-ups and many tent sites. Quiet and peaceful. I’ve stayed many times - September, October & May. The Joshua Tree Music Festival takes over the campground for a week in October and a week in May. Wonderful time to stay and hear such a huge variety of music and art! This is the most beautiful place to watch sunrise and sunset and stars. So peaceful. We stayed 3 days at this funky little RV campground. It’s full of art installations and has its own small lake that you can fish in. (Catch & Release) There’s a ton of birds and wildlife to observe and a really well stocked general store on the property. Bathrooms were clean and staff was friendly and helpful. There is a small playground onsite for littler kids and tons of space to tent camp. We stayed in 201 which was a HUGE flat spot that could’ve held a much larger rig than ours. All in all it was great, I’d definitely recommend it and plan to return. About 10 minutes to the Joshua Tree National Park entrance and 15+ minutes to good climbs. Easy access and close to town if you forgot something but you won’t hear any traffic. Site 201- Full hook ups. I always have a blast camping but this one lacks a lot of attractions besides for the beautiful sites. 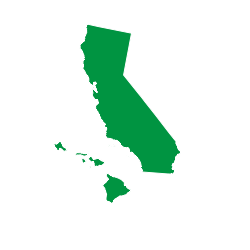 It's also close to main main counties like Santa Barbara and San Luis Obispo. The hight of this camping site is it features many fantastic festivals like Live Oak Music Festival.